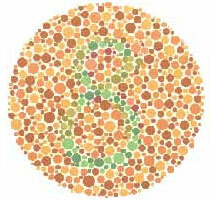 Colour blindness comes as a result of a lack of one or more of the types of colour receptors. 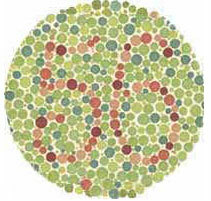 Most colour perception defects are for red or green or both. 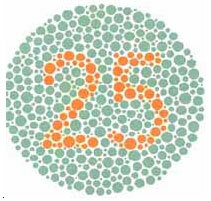 About 10% of males have a colour perception defect, but this is rare in females. 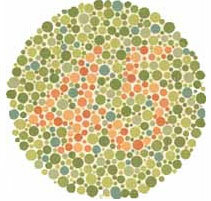 Red-green colour blindness is a result of a lack of red receptors. Another form of colour blindness — yellow-blue is the second most common form, but it’s extremely rare. 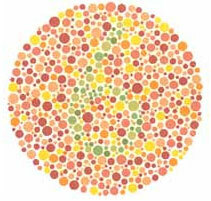 It is also possible to have the colour receptors missing entirely, which would result in black and white vision. 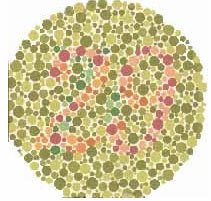 In case you have problem in reading the numbers in the chart for testing colour blindness, there are indications that you may be colour blind. You are free to call up NSPB’s ophthalmologists – Dr.Ekta Jain 09868006394 & Dr.Rajesh Vaish 09350202749 or contact any of our branches and fix up an appointment for an expert evaluation of your vision. An immediate diagnosis can help stem the root and timely corrective measures can be taken. 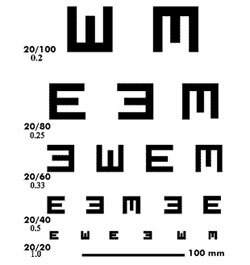 The following eye tests are not intended to replace an office visit. These are merely sample tests that you can do in your spare time to occasionally check your vision. If you notice any change over a period of time with any of these tests, please contact your Ophthalmologist for a check-up. Multiply the length of the calibration line by 2.40. This is the distance in inches that you should stand from the chart. 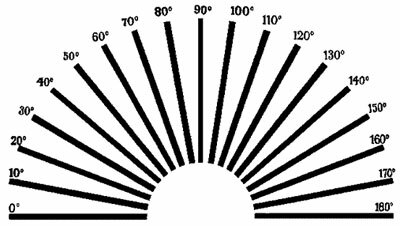 Example: If the calibration line is 100 mm, then 100 X 2.40 = 240 inches, or 20 feet, or if the line is 95cm, then 95 x 2.40 = 228 inches, or 19 feet. Click on the image for a printer-ready version. 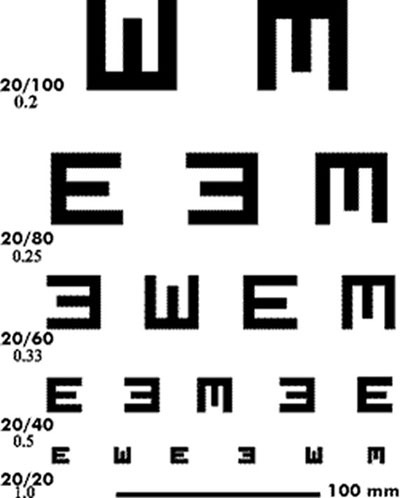 To test your vision, place the chart in a well illuminated area and stand about 20 feet from the chart. Test one eye at a time. If you see grey lines and other black you have an astigmatism. Click the image to open a printable version of the Astigmatism Wheel. Close one eye and then the other one , if you do not see all the lined squares, in the same black color , if you do see one or more grey squares, you than have an astigmatism. 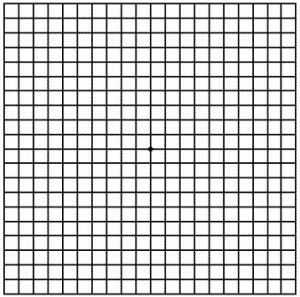 Use of the Amsler Grid is helpful in catching blind spots or distortion caused by macular degeneration. It is also useful in monitoring the vision when taking certain medications. View the grid in a well illuminated area using your normal optical correction (glasses or contact lenses, and reading glasses or bifocals if applicable). 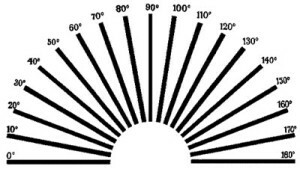 Hold the grid at normal reading distance (16 inches), and cover one eye at a time. Look at the center dot in the grid. While staring at the central spot, see if there is any distortion of lines, or any missing lines on the chart. Be sure that the spot itself does not disappear when looked directly at. If there is an abnormality or a change in an existing abnormality when observing the grid, report this to your eye physician.